Coworth Technologies offers all our Refurbished equipment to be guaranteed to be accepted onto the manufacturers or third party maintenance contracts. If there is any reasonable fault with the part, or it is not accepted by maintenance we will repair or replace it. We offer 90 Days warranty on all our refurbished/used products, if any part is defective within this period, Coworth Technologies will ship a replacement unit and courier the defective part back to our warehouse for testing. 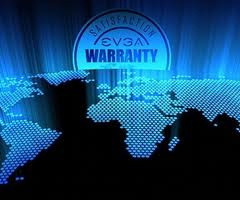 Coworth Technologies can offer extended warranty packages for your refurbished/used equipment purchases. We can tailor a package to suit your needs. Please speak to your sales contact with your requirements for further information.